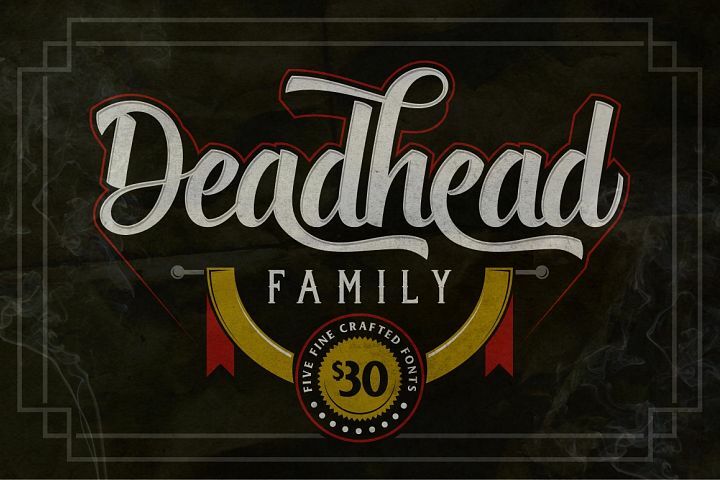 Deadhead Typeface Family is a brilliant font. It lends itself perfectly to sports design, logos, posters, packaging, brochures, t-shirts, and so much more! Available until Tuesday, February 19, 2019. Grab it fast! !